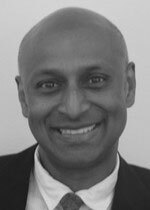 Mr Devaraj is a Consultant Plastic Reconstructive and Aesthetic Surgeon,practising at Nuffield Health Exeter Hospital. Mr Devaraj also specialises in surgery of the Hand and is a Senior Clinical Lecturer in Medical Education, University of Exeter Medical. Charity work overseas with Interface Uganda (Reg Charity No 1091419) promotes and develops plastic surgery and training of surgeons in East Africa. 10 working visits with lectures and tutorials, 2001/16, including Rwanda and the Congo. Previous visits to operate, teach and hold the first digest of the Masters in Medicine ( M Med) examination in plastic surgery. Cycled from Swtzerland to Italy across the Col du Grand St Bernard - June 2017. Currently studying for a Masters in Clinical Education with the University of Exeter. 3D Modelling using computer imaging. Original academic presentations at the British Association of Clinical Anatomists. Professor Vikram Devaraj does not hold a share or financial interest in this hospital, another Nuffield Health hospital or the company. Professor Vikram Devaraj does not have a share or financial interest in equipment used at this hospital or another Nuffield Health hospital. Professor Vikram Devaraj does not hold any paid advisory role(s) at this hospital or on behalf of Nuffield Health.